Glass Gardens creates unique and beautiful succulent and air plant arrangements and centerpieces for weddings and special events. Let us add a special touch to your wedding or special event with Glass Gardens arrangements and terrariums. We custom make center pieces, bouquets, boutonnieres and more. Let us handle the details for your party, shower, birthday, or grand opening. We've partnered with Fairview Place for custom felt flower arrangements and custom tags or favor cards to match your existing stationary. Learn more about why alternative wedding decor is the way to go! What is your vision for Glass Gardens arrangements at your event? Examples: favors for guests to take home, table decorations, something else creative? Describe it! Thank you! We will reach out to you shortly to give you an estimate or get more details. Our Flower Cart is always a hit at weddings! 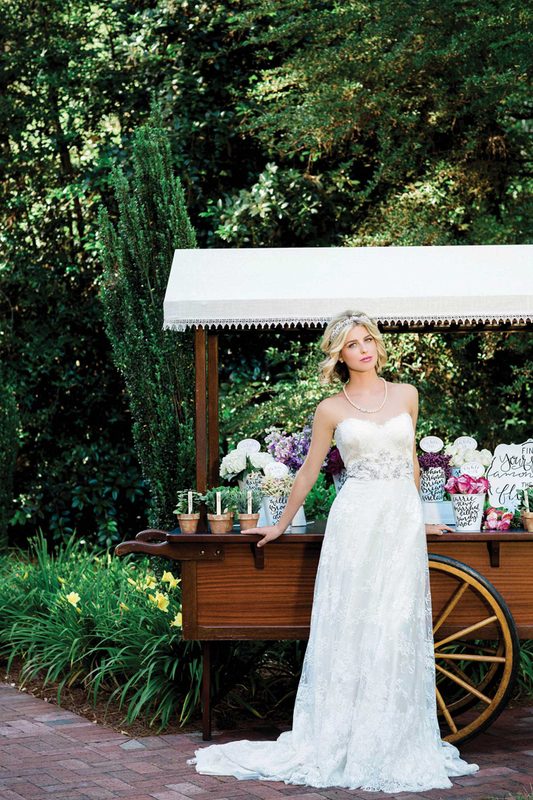 Featured in Vow Bride Magazine our Flower Cart makes a great focal point for your wedding or special event.